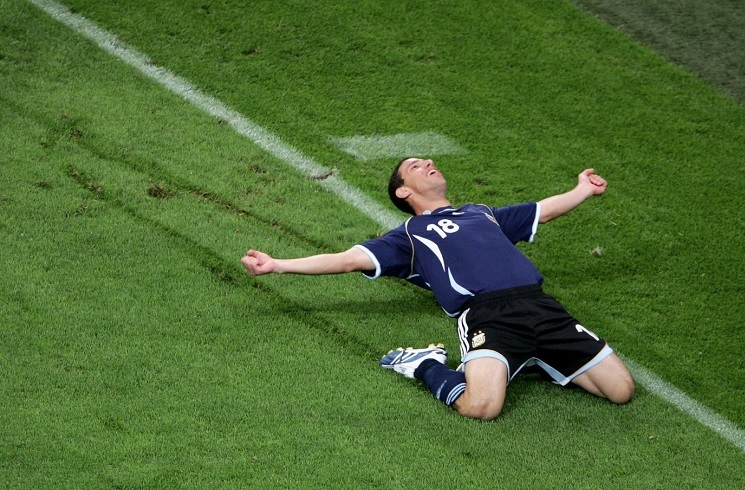 Maxi Rodriguez celebrates a goal for Argentina vs. Serbia and Montenegro at the 2006 FIFA World Cup. We are just 41 days until the start of the FIFA World Cup and in 41st place we have Maxi RODRIGUEZ scoring in the 41st minute against Serbia and Montenegro. It’s not every day Argentina scores six goals in a match, let alone at a FIFA World Cup. But on June 16, 2006, José PÉKERMAN’s boys did just that. It was Argentina’s second match at the 2006 tournament having just come off a 2-1 win against Ivory Coast. The team were looking to put away the ghosts of 2002 in South Korea and Japan. And did they ever. Maxi RODRÍGUEZ opened the scoring after just six minutes. 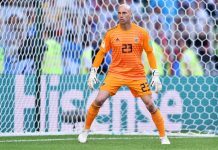 Arguably the goal of the tournament followed 25 minutes after the opening goal when Esteban CAMBIASSO finished off the play of the tournament, a goal which came after just 24 passes. Words can’t do that goal justice. And just 10 minutes after that, in the 41st minute, Maxi RODRIGUEZ all but sealed the win for Argentina. A second goal from Maxi RODRÍGUEZ, one of Argentina’s standout players of the tournament gave Argentina a 3-0 lead going into half time. Javier SAVIOLA’s blocked shot by the goalkeeper rolled onto the line before Maxi pounced on it and cartwheeled his way to the corner flag celebrating. 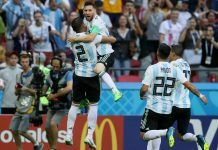 Argentina went on to score three more goals in the second half, one by Hernan CRESPO to make it 4-0, the fifth added by some kid called Lionel MESSI and a sixth by Carlos TEVEZ. Rising star in Argentina league, Matias Vargas from Velez, with another 2 assists last night (best assister in league), while Robertone again with goal. 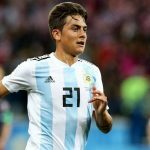 Vargas value for European clubs grows every week. Fiorentina and Lazio follow closely. Roberto perreyra has been playing really well recently for Watford. He just scored a goal and made a beautiful assist for his teammate just now. Perhaps too late to catch the wc boat now but he really should be considered after it. Nothing new. 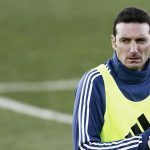 Not long ago 12 of 36 Copa Libertadores clubs’ coaches were Argentine and 6 Argentines on Copa America. We have best coaches until they take our NT. 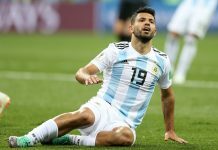 A fit Aguero is good news for Argentina, though I worry about the sharpness. However, there were many players who came to wc directly from injury recovery and had a great world cup. Max Rod was a sensation in 2006… Thanks for the memories. Mourinho gives rojo a start finally. Mourinho said that he wants to give all players with world cup chance some playing time to bolster their chance. While man u was pathetic last night, rojo was ok considering that the only competitive match he played in last 3 -4 months is the Spain friendly. But Rojo was replaced at around 70+ min. I did not watch the match, however, normally a central defender is only substituted when playing poorly. Yet he is going to be our 3rd CB in the WC Smh!! Maxi Rodriguez’s goal against Mexico was the second best ever in wc history i have ever seen, just behind the best goal ever scored in a wc, Maradona’s goal against England. Moreover, Argentina’s second goal against Serbia and Montenegro was the best team goal i have ever seen as well! Beautiful game is in Argentina’s nature! Waveride my friend I concur with your findings. Pablo, amigo, as always it is great hearing from you. I hope amigo sometime we can win this thing (wc) again, as i feel that our team deserves more than two. We deserve it just for all of the pain and suffering we have had to endure since 1990.